We loved him as Circuit in the Munna Bhai franchise, cheered for Babban in the Ishqiya series, empathised with his portrayal of Ajay Kumar in Sehar, and hated Mahendra Fauji in Zila Ghaziabad. 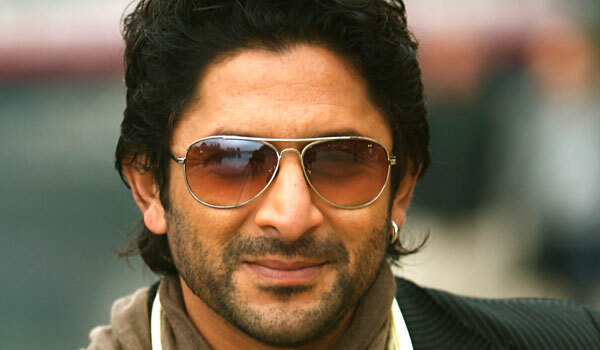 Arshad Warsi can slip into any character with ease.And with his new film Guddu Rangeela ready for release, the 47-year-old is at an exciting phase in his career. This is Warsia��s second film with director Subhash Kapoor, after Jolly LLB (a third, Jolly LLB 2, is hitting the floors this September), and he says, a�?I am a big fan of Subhasha��s sensibilities. His concepts of films are a�?realistically commerciala��. The mood, acting and expressions are realistic, yet he does not slip into the offbeat zone.a�? In the film, the characters Guddu and Rangeela (played by Ronit Roy and Warsi) are orchestra singers by day and informants by nighta��making money by digging up dirt on the towna��s richest families for local gangsters. Prod him on whether he feels he has been under-utilised in the industry and he says, a�?I believe I am underrated. Ia��ve not got enough opportunities or the roles that Ia��m capable of playing. I am not genre specific; I only look for interesting scripts and challenging characters.a�? Surprisingly, for an actor who has won awards for his comic roles, Warsi says he would rather call himself an actor who does serious films. Commenting on the new trend of a�?box office hitsa��, he wishes films were stronger on the content front. a�?They have the star and money power. If they had equally great content, theya��d be respected worldwide,a�? says Warsi, who feels hits like Munna Bhai and 3 Idiots are few that ticked the box when it came to content. He points out that films like Piku will be the future of Indian cinema, he says as they are strong on all frontsa��acting, content and treatment of subject. He also wishes our cinema would explore slapstick comedy as a genre, taking a leaf from the Zuker Brothers, who did Flying High and Naked Gun. Referring to the gaps between his films, he states, a�?I deliberately choose to do a string of films at a stretch and then take a break to spend quality time with my family.a�? Next up he has Fraud Saiyyan, where he plays a man with 13 wives, The Legend of Michael Mishra, a fantasy love story, and Zamaanat, a courtroom drama. Guddu Rangeela is releasing on July 3. The a�?Subhash Kapoor genrea�� is the new talk of Bollywooda��a satirical take on a socially-relevant message, peppered with comedy and with a light-hearted narrative. The journalist-turned-director, however, chooses to laugh it off, though he agrees that his films do explore a topical message: be it the global meltdown in Phas Gaye Re Obama, the judiciary in Jolly LLB or honour killing in Guddu Rangeela. Hea��s also excited about Jolly LLB being re-made in Tamil, with Prakash Raj donning the role of Jolly. a�?I have heard that theya��re trying to get Saurabh Shukla to play the judge. Ia��d love to see him speak Tamil,a�? smiles Kapoor. His Jolly LLB 2 will bring back Boman Irani, Shukla and Warsi, besides some new characters. a�?Arshad and I have great working chemistry. I love the way he approaches his roles, which is why Ia��m doing three back-to-back films with him,a�? says the director, who is a fan of films like Sholay and Jaane Bhi Do Yaaron and believes Raju Hirani is the best thing to happen to Bollywood after Raj Kapoor. Talking about his future projects, he says he has four to five unfinished scripts on his laptop and hopes to make headway on them soon.